When you are seeking a breakthrough in meditation through the practice of purashcharana, your lifestyle matters. Of course, it is not necessary to follow a monastic schedule, to become celibate, or to overwhelm yourself with yogic discipline. However, certain core disciplines will make a distinct difference in your experience of meditation. Here are some of them. If you meditate in the early morning, go to bed early enough to comfortably get up on time. 1. If you meditate in the early morning, go to bed early enough to comfortably get up on time. Before you go to bed, read something uplifting or repeat your mantra. If you are going to get up for meditation, you will need to be in bed at a reasonable hour and with your mind clear. This is one of the great secrets of early morning practice. If you watch television or read the newspaper or a stimulating novel before bed, it not only affects your sleeping patterns but also programs the state your mind will be in when you wake up. 2. Shower or wash your hands, face, and feet immediately before meditation. Washing before meditation does more than cleanse the body and wake you up. It is also a way of cleansing the mind. As the water pours over your body, you might imagine the water as a shower of light that is washing your inner body of its accumulated thought dust. 3. Observe moderation in eating. The real key to a yogic diet is not to overeat. This doesn’t mean you should fast. The ideal is to get up from the table before you feel full. Eating to fullness strains the digestive system and uses up energy that you could use for meditation. Try to eat at regular times and create a pleasant ritual around your meals. If possible, eat at least one of your meals in silence. It is better not to read or watch television when you eat, but to focus fully on the act of eating. 4. Regulate your social life. It is partly a matter of time. When there are only so many hours in the day and you want to devote some of them to spiritual practice, the easiest way to make that time available is to take it out of your social or leisure-time schedule. But there are other reasons why you might want to scrutinize your engagement calendar at this point. The people you spend time with influence your inner state profoundly. Though it may not be possible to surround yourself entirely with uplifting people who support your meditation practice, you can certainly stay away from the people and events that will unnecessarily draw you into states of mind that agitate you or make it harder to go inside. The images, ideas, and impressions in your mind determine your mood, your inner state, and your feelings. 5. Be discerning about your reading, television-watching, and film-going during this period. The images, ideas, and impressions in your mind determine your mood, your inner state, and your feelings. You already have a huge bank of images, ideas, and impressions boiling around inside your unconscious, thickening your consciousness and creating subtle barriers between yourself and the inner world. The clearer you can keep your mind during your purashcharana, the easier it will be to meditate more deeply. When we fill our inner space with noise and color, with story and distraction, we also cut ourselves off from the natural joy and insight that arise from simply being with ourselves. So take advantage of this opportunity to experience the power of quiet. When we fill our inner space with noise and color, with story and distraction, we also cut ourselves off from the natural joy and insight that arise from simply being with ourselves. 6. Inject practices such as mantra repetition, contemplation, or yogic breathing into the spaces in your day. Whenever your mind is unoccupied with work or other essential interactions—for example, when you are walking, during drives or bus rides, or while cooking or cleaning—turn your awareness toward the inner world. Practice your mantra with the feeling that you are invoking your inner Self. Perform your tasks in rhythm with the breath. Offer your actions to God, for the benefit of others or the healing of the earth, or to the ever-present inner Self. 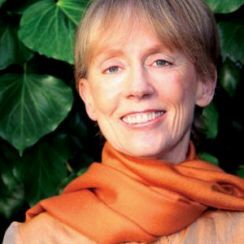 Sally Kempton has been teaching meditation and spiritual philosophy in the non-dual tantric tradition for 35 years. The excerpt above is adapted from her new book, Meditation for the Love of It: Enjoying Your Own Deepest Experience (Sounds True, 2011).